We all LOVE tacos right?!? In 1954, Glen Bell opens up a little taco stand called Taco Tia. In 1962, Downey California, he opens up what would become the first Mexican Fast Food franchise - TACO BELL. Whether its the 2am street taco or the good ole american ground beef version. Today, tacos of all shapes and flavors are eaten all over the world. National Taco Day (shared with National Vodka Day) is celebrated on October 4th. I think this year we will have a Taco potluck party and see how many variations we can come up with. 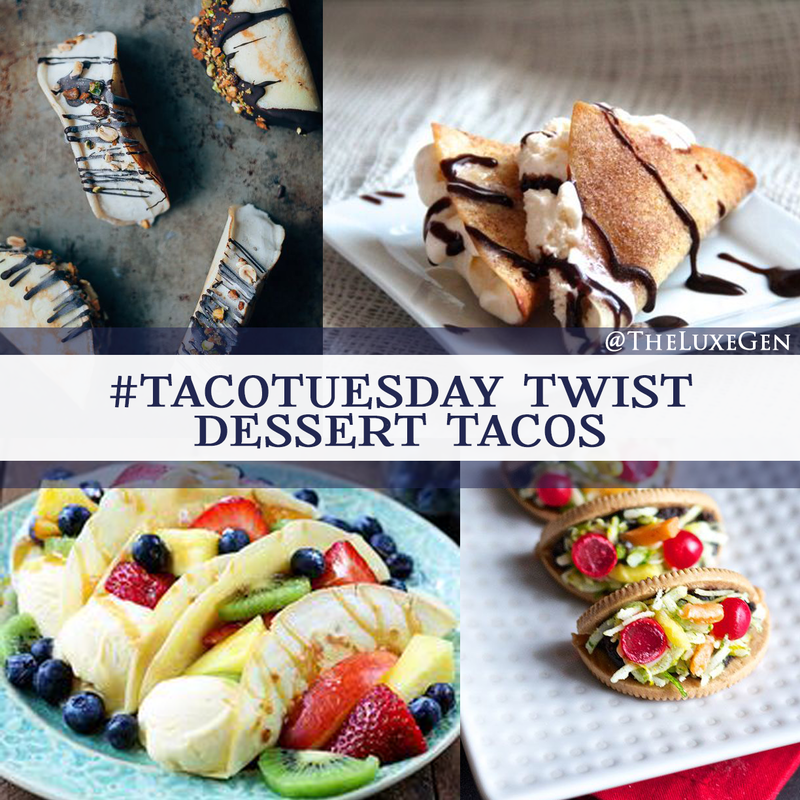 Today we put a twist on #TacoTuesday with our round-up of dessert tacos. 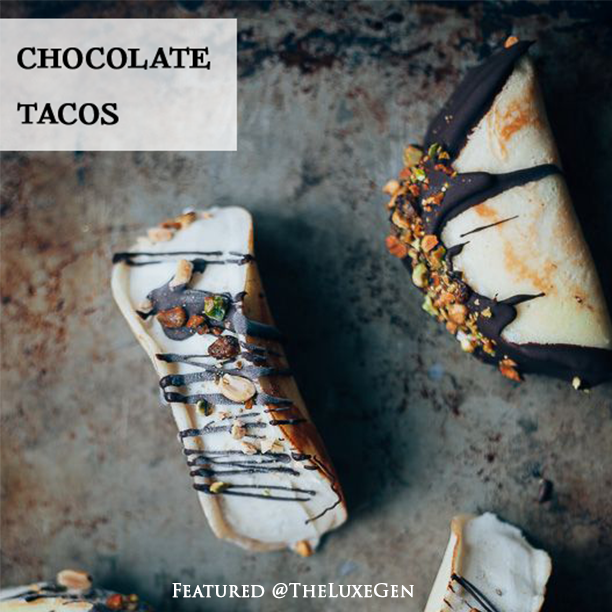 First up is the Chocolate Taco featured on My Name is Yeh blog, where most of her posts include recipes inspired by her jewish and asian roots. Go check her out! 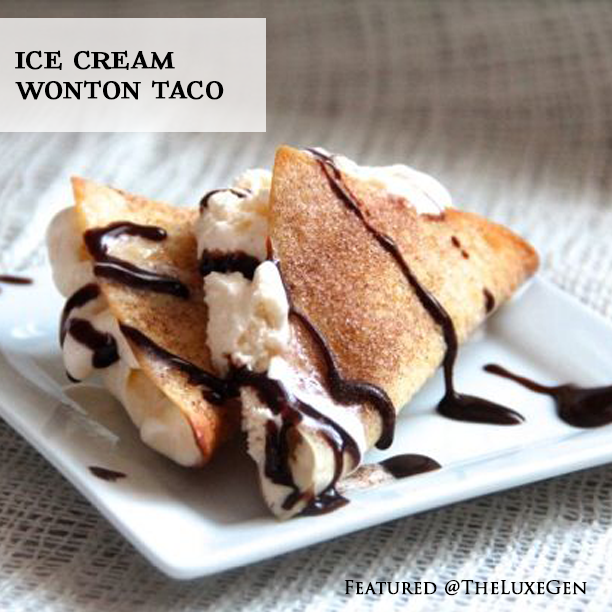 Second, by Alaska From Scratch, a spin on the dessert taco shell, a cinnamon sugar fried wonton stuffed with vanilla ice cream.Top it with your favorite chocolate/caramel syrup or stuff it with your favorite fruit and whipped cream. Drooling!! 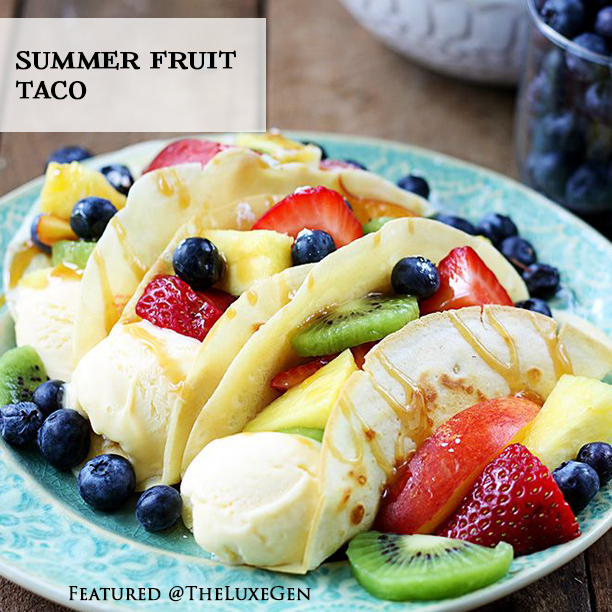 Next up and perfect for the season featuring Easy Summer Dessert Tacos by Creme de la Crumb, where Tiffany shares her taste tested recipes. 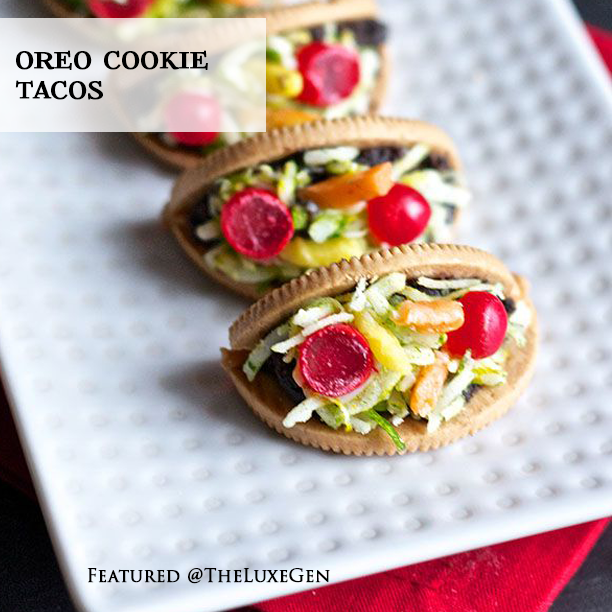 Last but not least by Erica's Sweet Tooth is the Oreo Cookie Taco. A blog that shows off Erica's favorite part of baking by getting creative through food. This mini taco is adorable and could easily be the hit for any party, National Taco Day or not. I hope you enjoyed our #TacoTuesday today, if you liked this article feel free to share it with your friends.